Already, you are on the last page. You typed in some code, drew a label component, and setup your project in the previous pages. In this, the last page, you will test your application in the browser and learn how to publish it online. Well, it might seem like you are done. 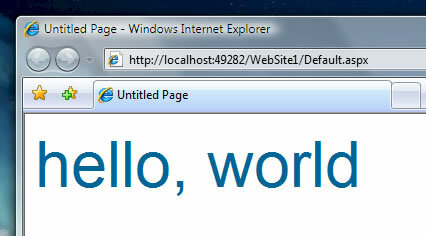 After all, you can see hello, world in the browser. The problem is, that others won't be able to see it, for the ASP.NET Web Server that is running right now to display your application will turn itself off the moment you exit out of Visual Studio or Visual Web Developer. We need a more permanent solution. There are two ways you can have make your application viewable by others. You can either use a 3rd party server with .NET support, or you can install IIS and .NET locally on your computer. Instructions on how to setup IIS with .NET can be found in this tutorial. I will explain how to publish to a 3rd party server, for that would be the easier to explain in this tutorial without deviating into the issues associated with configuring your local IIS server to run your applications. The server you are publishing to must be capable of running .NET 2.0 applications. So, with your project open, go to Build | Publish Web Site. Press OK after you have entered your target location. You might be prompted for your server username and password if you are using a remote server like I am. A few moments later, your application can now be previewed online at the location you specified. 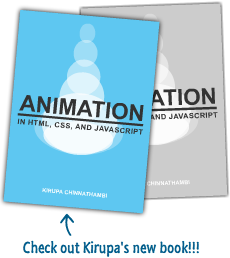 When you view the HTML source to the above link in your browser, you will see that everything is in HTML. The data you entered in the code-behind file in C# such as the name of your label, etc. is not displayed.